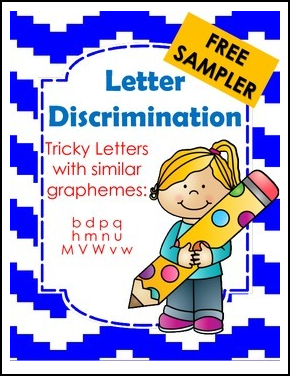 This file contains 5 free pages from my product Letter Discrimination. I hope you enjoy using these with your students and come back later to get the full file. The full file contains 46 pages to help your students learn these tricky letters that have look alike graphemes. Thank you for checking out my store. Please come back and leave feedback after you use these with your students.